SwiftKey update brings Real-time translation to Android. Update from SwiftKey for Android brings integration with Microsoft Translator, giving you real-time, 2-way translation in 60+ languages. You'll be able to quickly and easily translate on your SwiftKey Keyboard, without having to leave your in-app conversations or having to copy and paste text to translate. SwiftKey's integration with Microsoft Translator gives you real-time, back and forth translation in over 60 languages. Today's update on SwiftKey for Android makes it easy to not only understand messages you receive but also translate outgoing messages. Available in over 60 languages, the integration makes sure that conversations stay fast and natural. 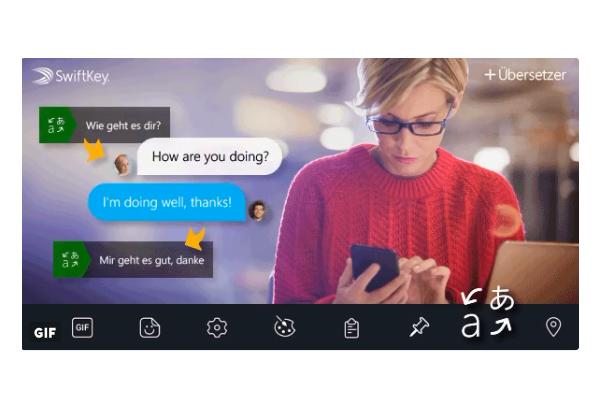 Translations work even better with Microsoft Translator installed as well, allowing you to use the feature even off-line.